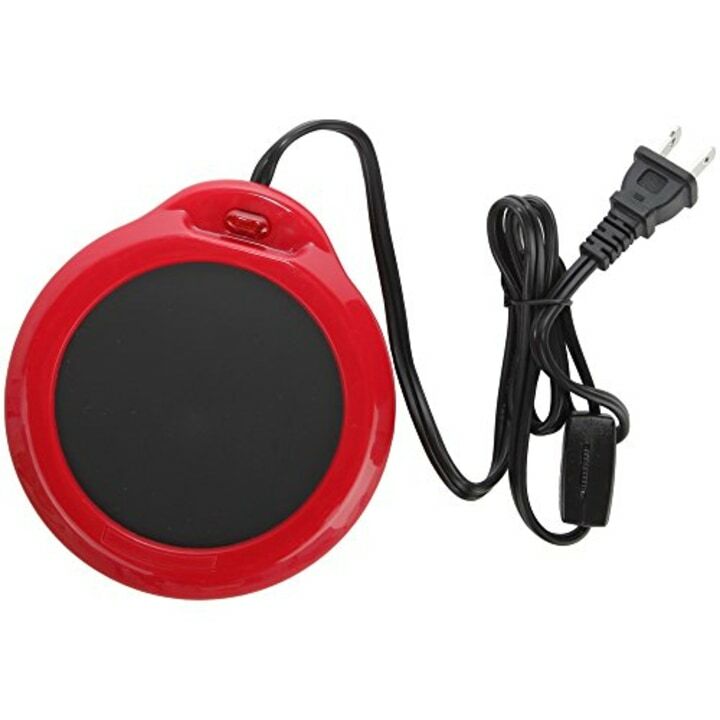 Including great picks under $20! Great things do come in small packages! Though these stocking stuffers may be small in size, they are big in impact. 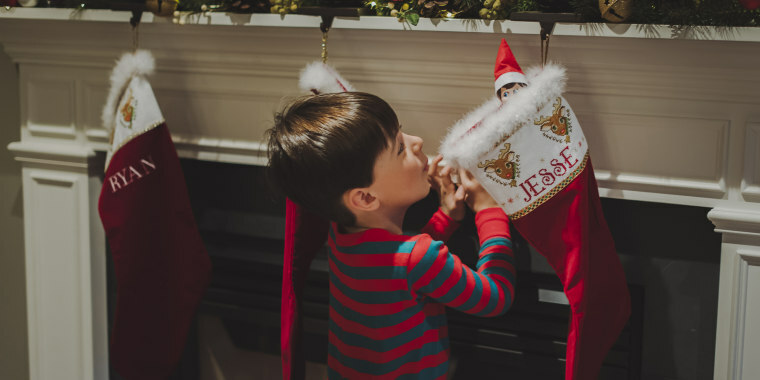 From From holiday-themed Mad Libs to "Star Wars" cufflinks, we've found the best items to stuff any stocking this holiday season! Lifestyle expert Chassie Post stopped by to share her picks for the best stocking stuffers under $20. From mini vacuums to custom playing cards, these budget-friendly gifts are sure to please! For more fun holiday gifts like this, be sure check out our Secret Santa gift guide or our guide for the top novelty gifts. 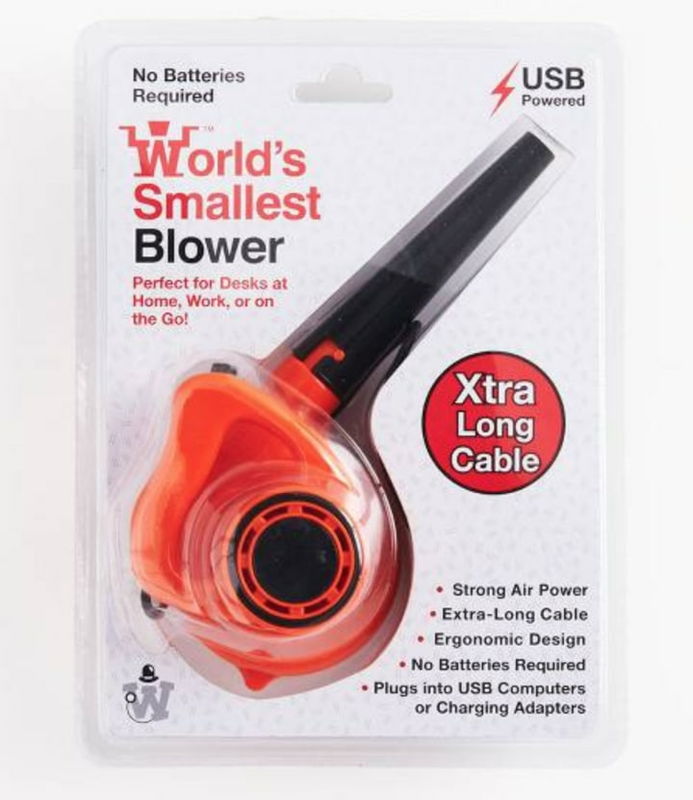 This handheld leaf blower is adorable and gets the job done! You won't worry about breaking your back carrying this tiny thing around! Who said you can't bring food into the bath? 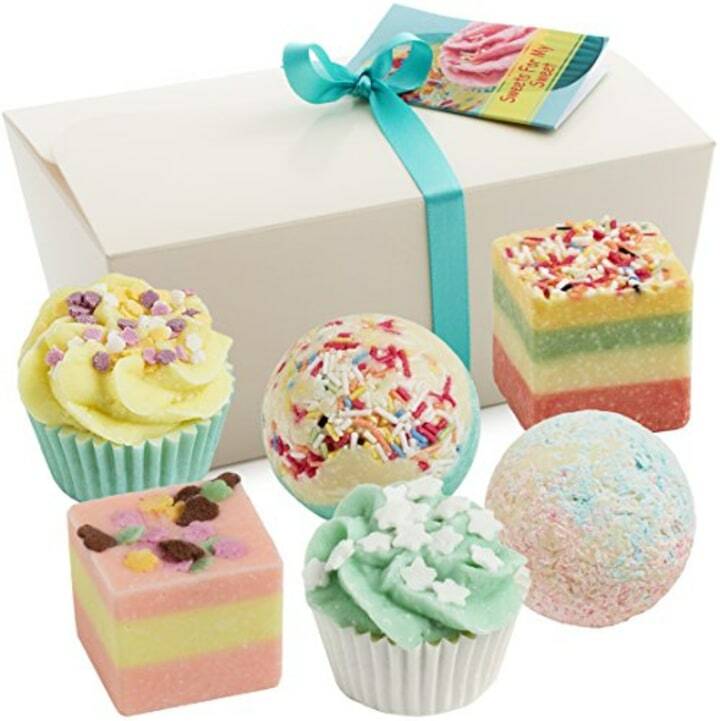 These colorful pastry-shaped bath bombs are almost too pretty to put in the water! 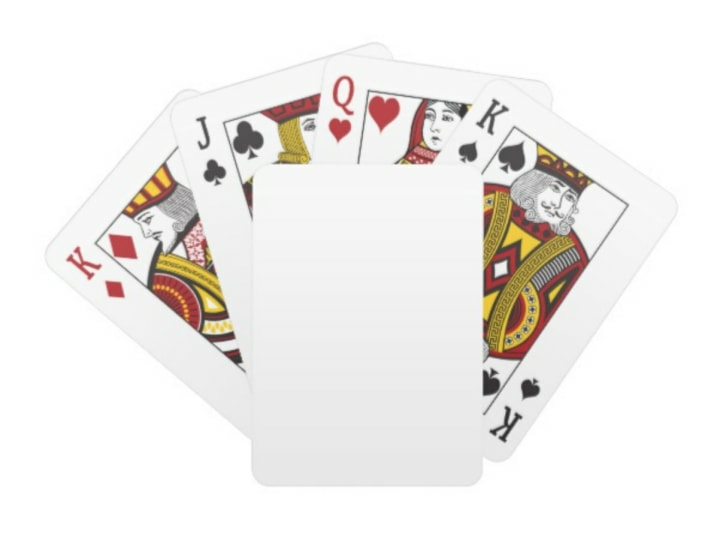 Personalize a deck of cards with photos or a sweet message for your favorite card shark! 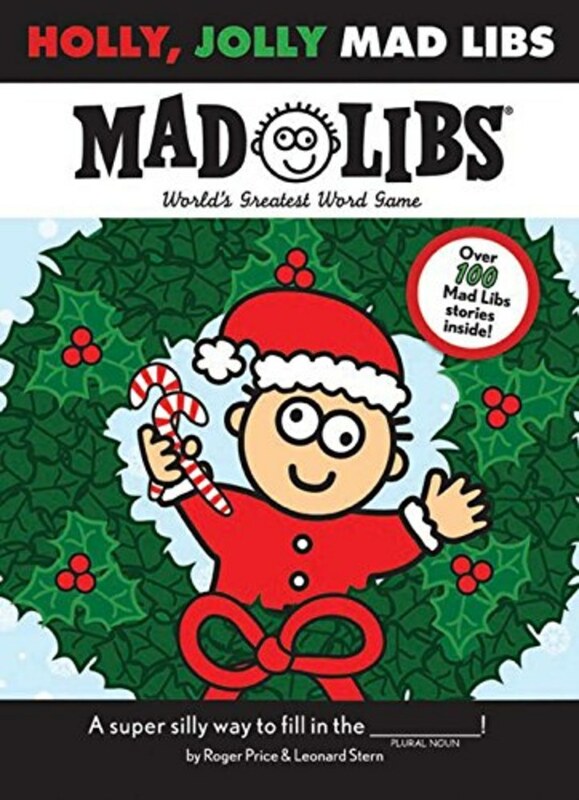 These hilarious, gift-themed Mad Libs will have you and your family laughing all morning long. 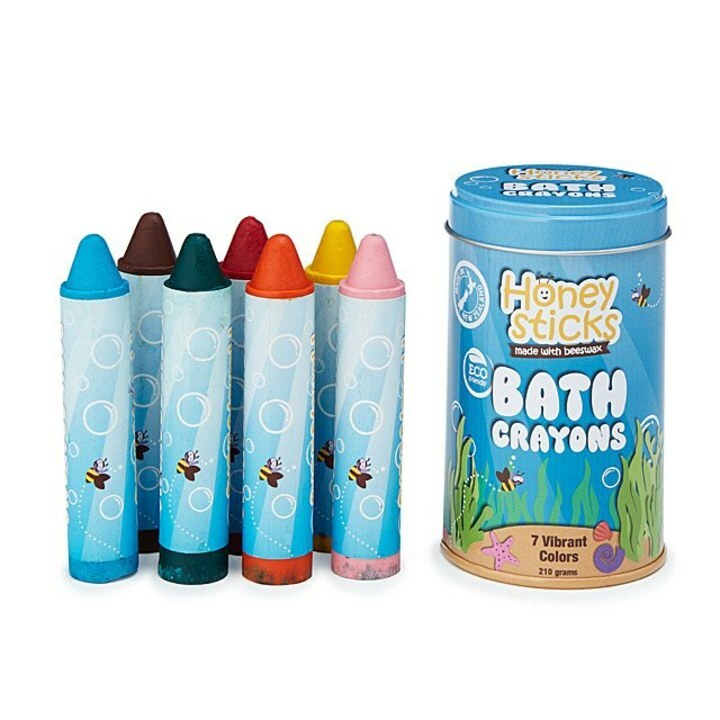 Little ones can practice creating their own works of art in the tub, where their masterpieces will easily wash off with a little bit of water ... unlike those masterpieces that sometimes end up on Mom and Dad’s walls. 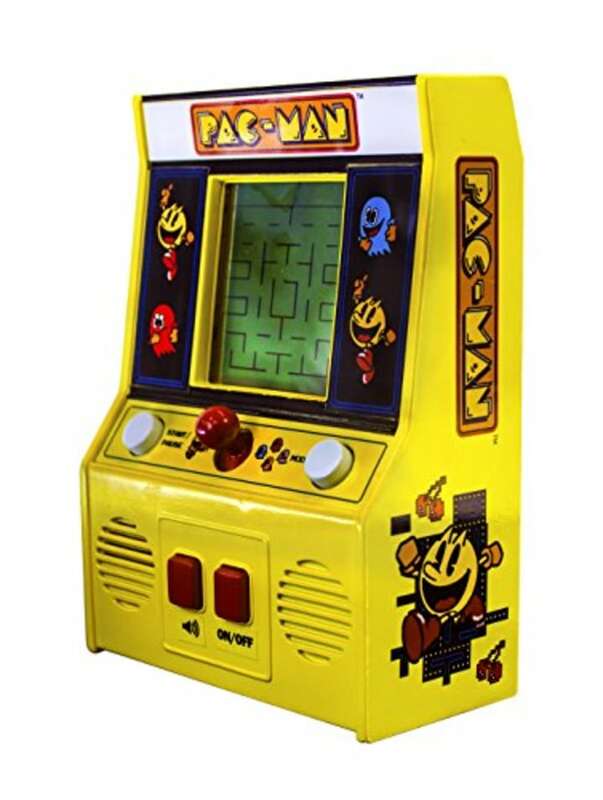 The perfect stocking stuffer for kids or kids at heart, this mini Pac-Man will delight retro gaming fans while proving that old-school rules to the new gaming generation. Know a baby or kid growing up in the big city? Or who is just enamored by the lights? 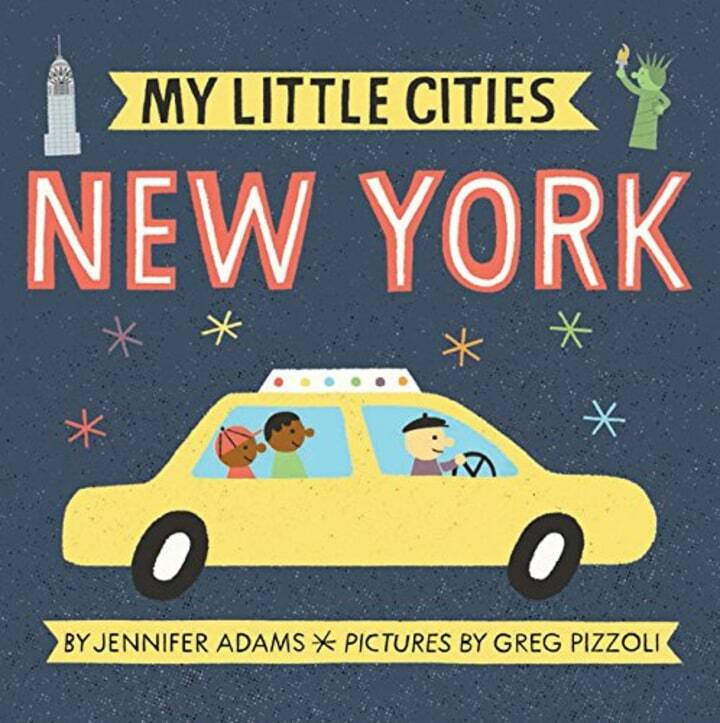 This picture book tells stories of New York City in a baby or kid-friendly way. This stocking stuffer is perfect for the Hatchimal-obsessed little ones in your family. 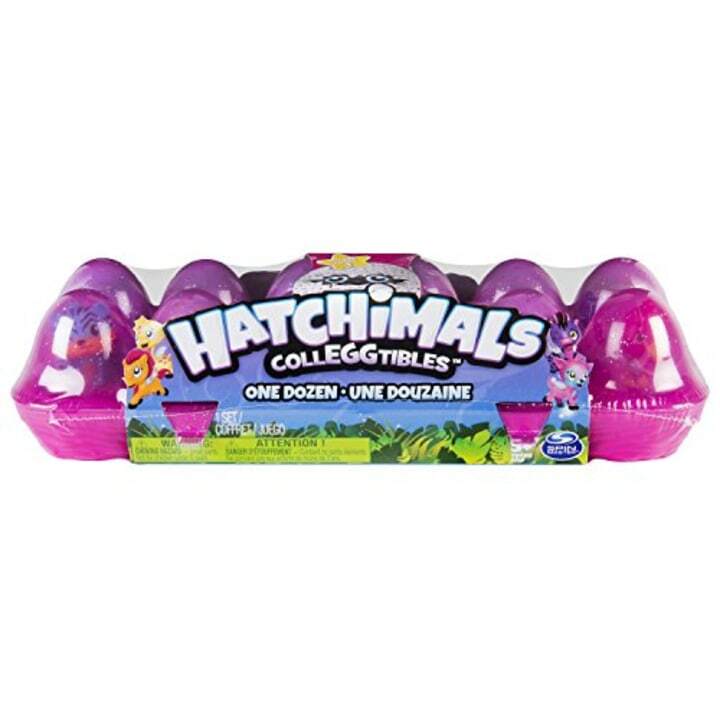 The 12-pack egg carton includes 10 Hatchimals CollEGGtibles in the egg, two Hatchimals CollEGGtibles out of the egg and a collectors' map. Whoa! 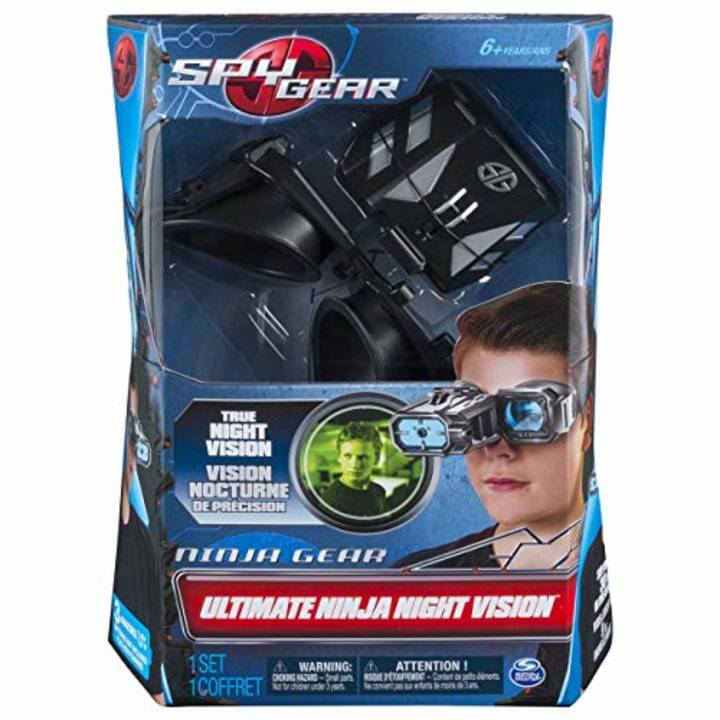 These night vision goggles allow your ninja fan to see up to 30 feet in the dark — now that’s some serious spy gear. Also available from Amazon for $25. 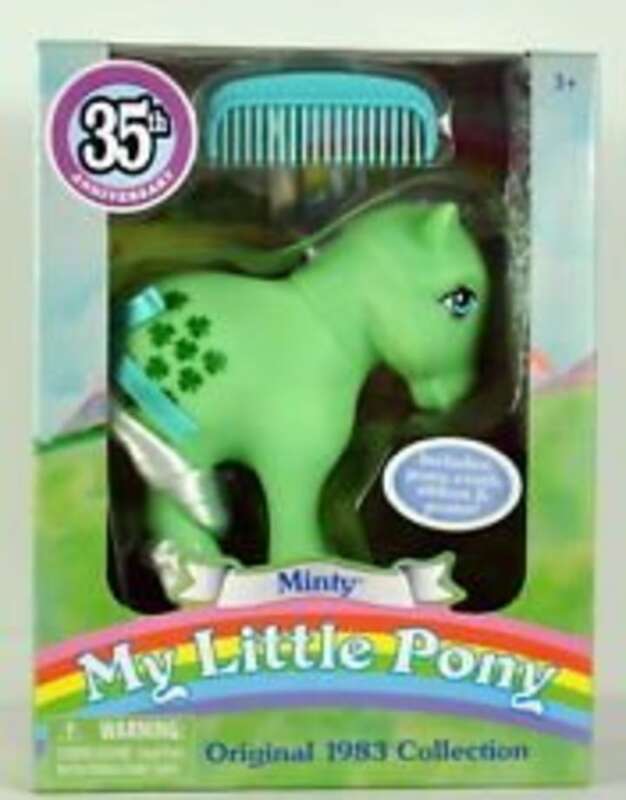 Surprise kids with this re-issue of a mint green My Little Pony from the original 1983 collection. Who knew that great sound came in such small packages? 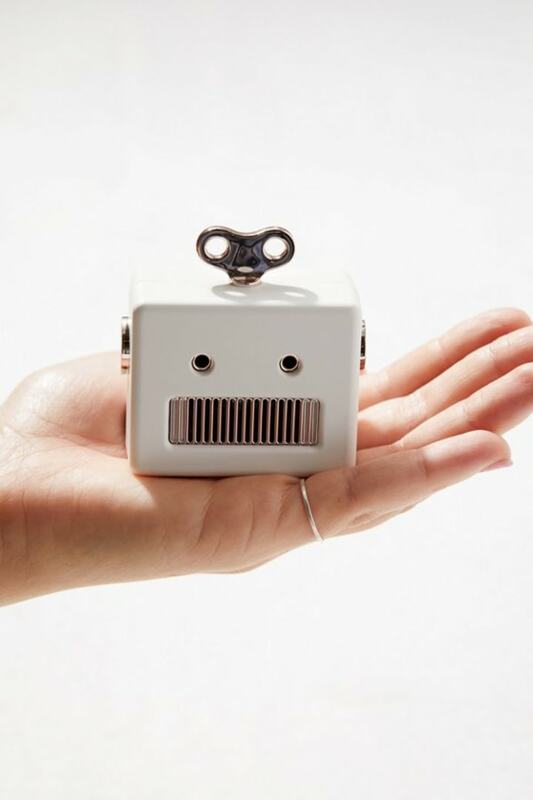 The adorable Qushini robot Bluetooth speaker plays music from the future! We'd place this gift in the “For those who are hard to shop for” category. 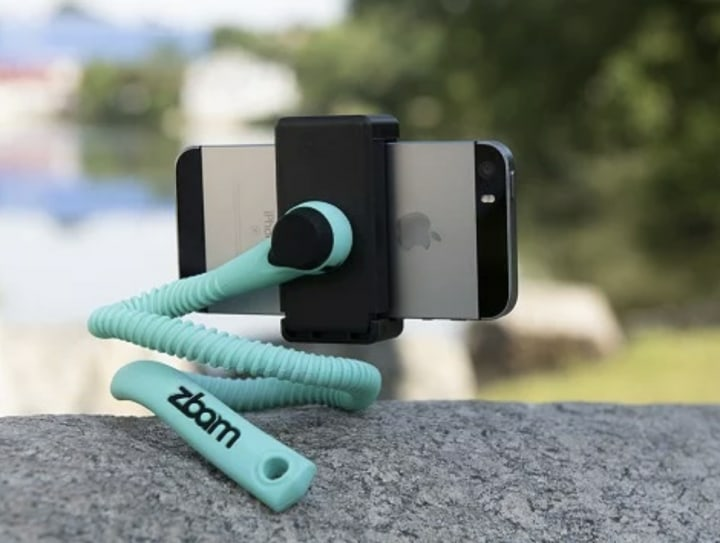 A winner for any selfie lover, this flexible phone mount holds a phone in place practically anywhere. Plus, it features a remote shutter. 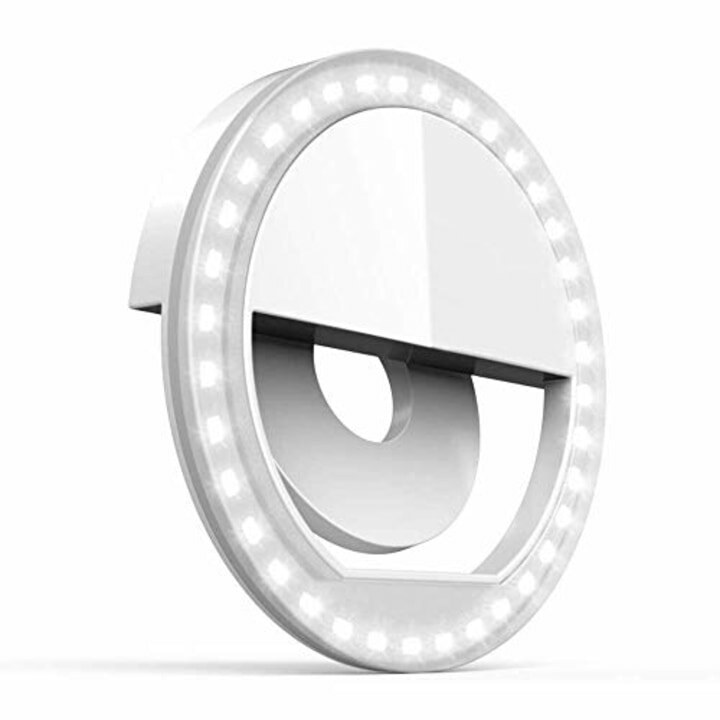 This light ring might just be the secret to taking the perfect selfie every time. 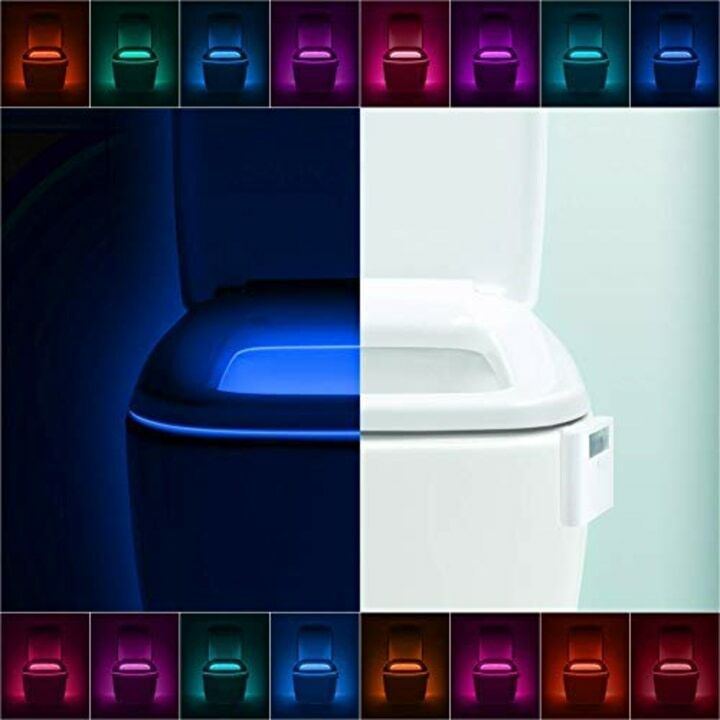 It's great for teens or a friend who just loves a good selfie. 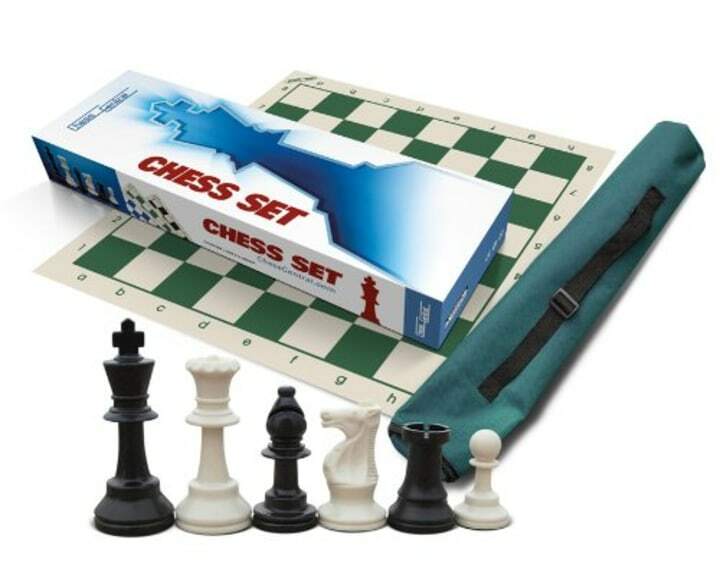 If you’ve got serious gamers in the family, then answer the call with a portable roll-up tournament chess set. It's ready to go for impromptu games on planes, trains and more, and comes with 32 pieces and a digital timer. Score points with your marshmallows! 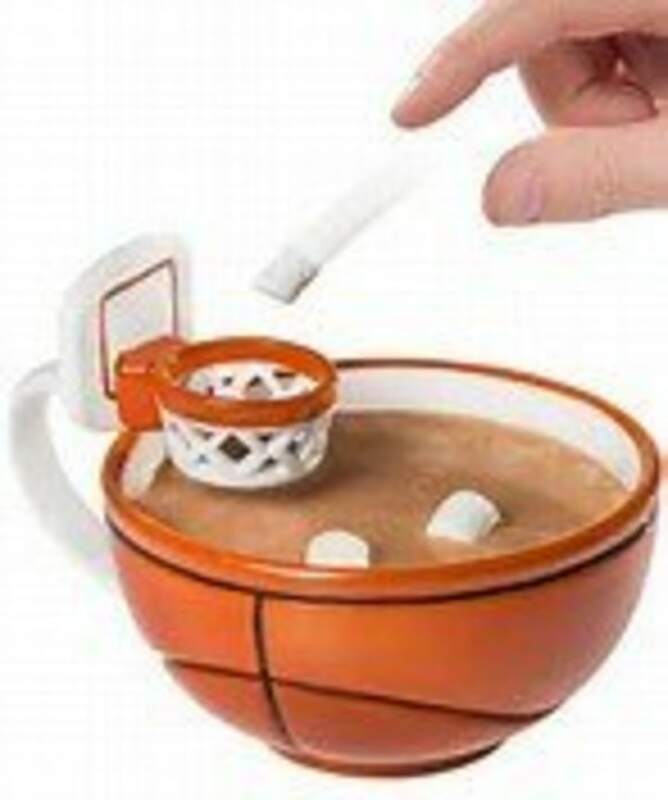 This clever basketball-inspired mug takes your hot chocolate game to the next level. Sushi in a stocking? 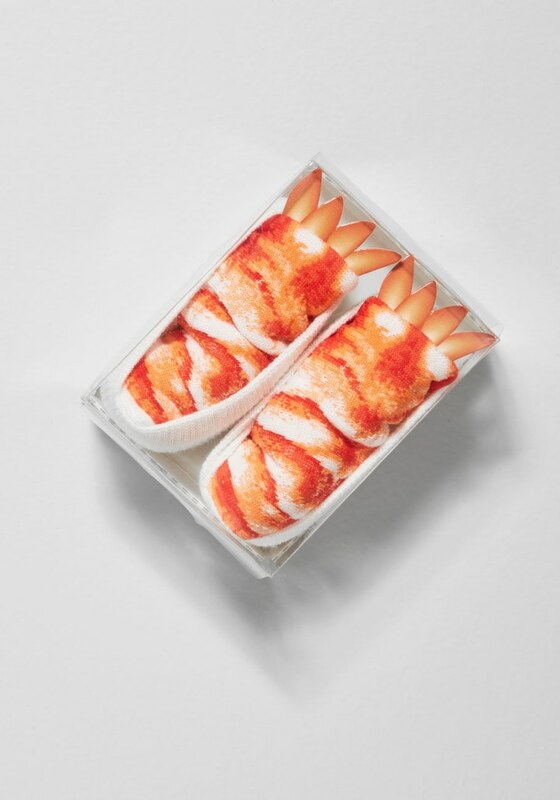 Yes ... sushi socks, that is! The best part about these foot huggers (aside from how darn cute they are), is that these little morsels have no expiration date. 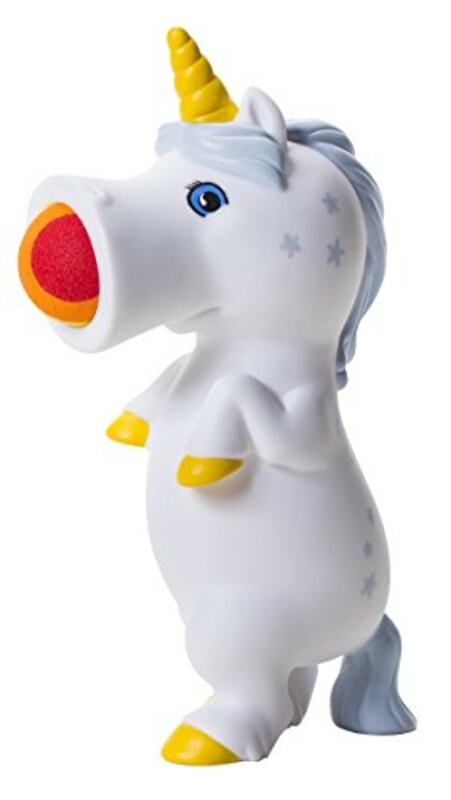 This toy comes with six rainbow colored plush balls that can shoot up to 20 feet! It's perfect for ages 4 and up. You know what your favorite Instagrammer needs as a stocking stuffer? 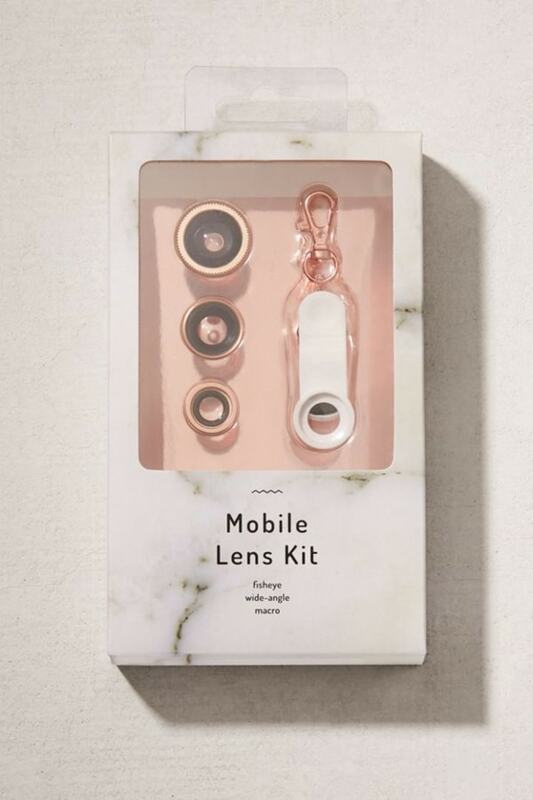 This three-in-one smartphone lens kit. Yep, you can bestow them with the ability to switch between wide-angle, fish-eye and macro lenses in a snap. These gloves are on double duty! 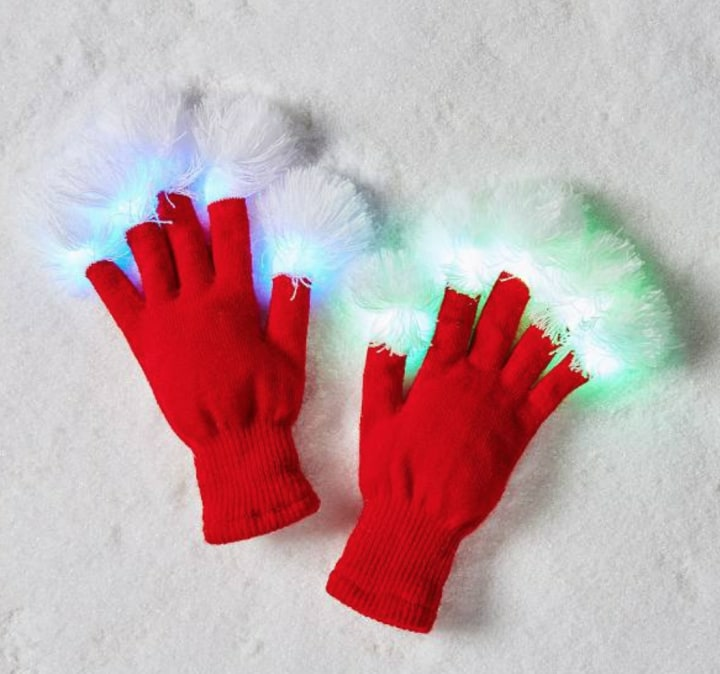 They'll keep your hands warm and light up in six different color patterns. The white pom-poms on the fingertips are a nice added touch. Gift a delivery of their favorite sweets starting at $19 for half a pound. Stick the Sweet-ificate in their stocking and they'll be able to redeem it for the candies of their choosing. 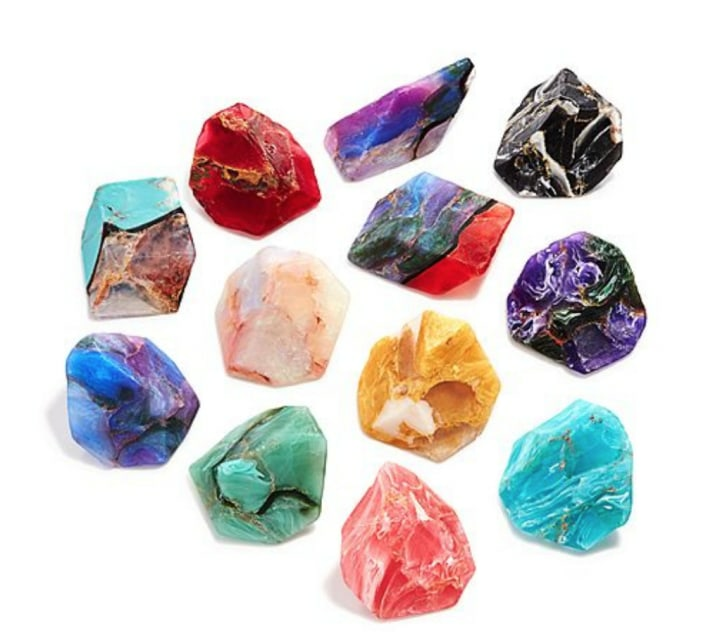 Trade out boring rectangular bar soaps for these colorful soaps that resemble sparkly gem stones. Dogs are man's best friend, and doggies could use Christmas jammies, too! 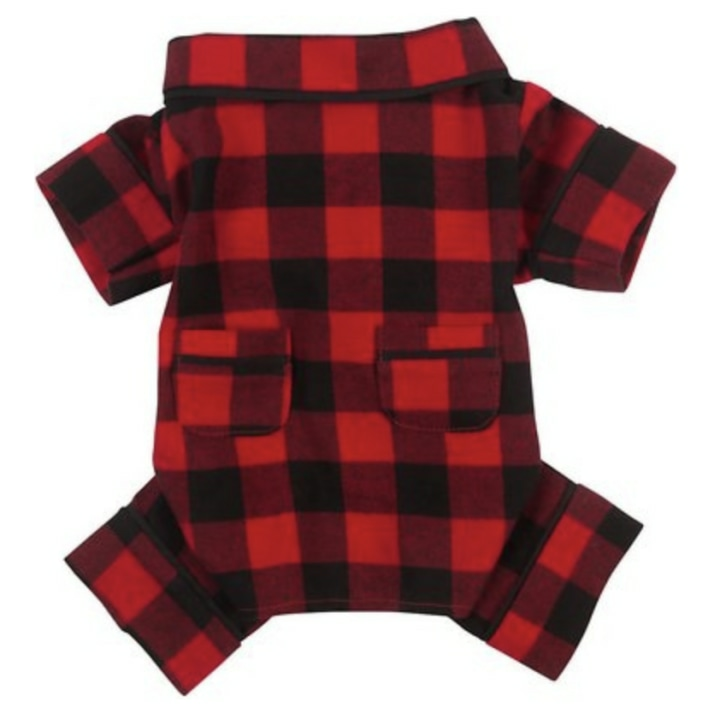 Tails will certainly wag with these cozy canine pajamas. “Let the love be with you”. 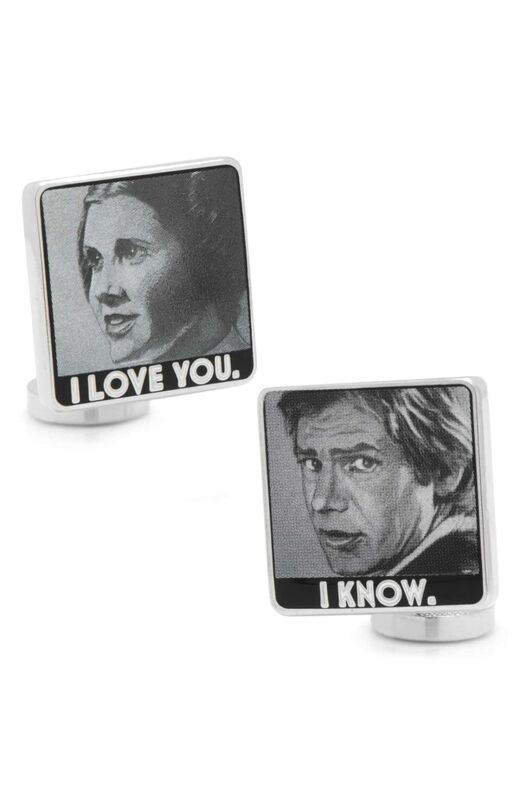 These wry cuff links would be a whole lot of fun to find at the bottom of a stocking! 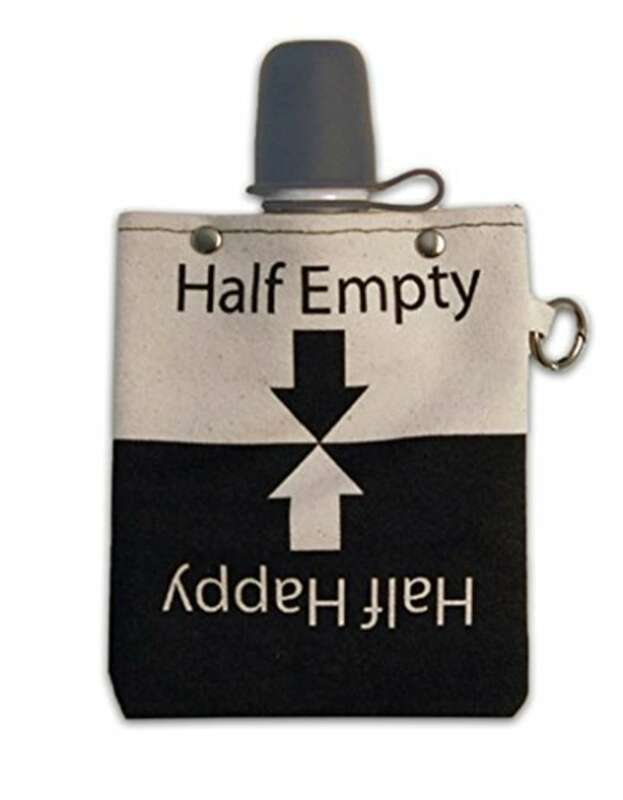 This canvas flask comes in tons of different designs and colors. It's a fun and quirky gift for just about any adult on your holiday shopping list. Do you have a bourbon drinker on your holiday shopping list? 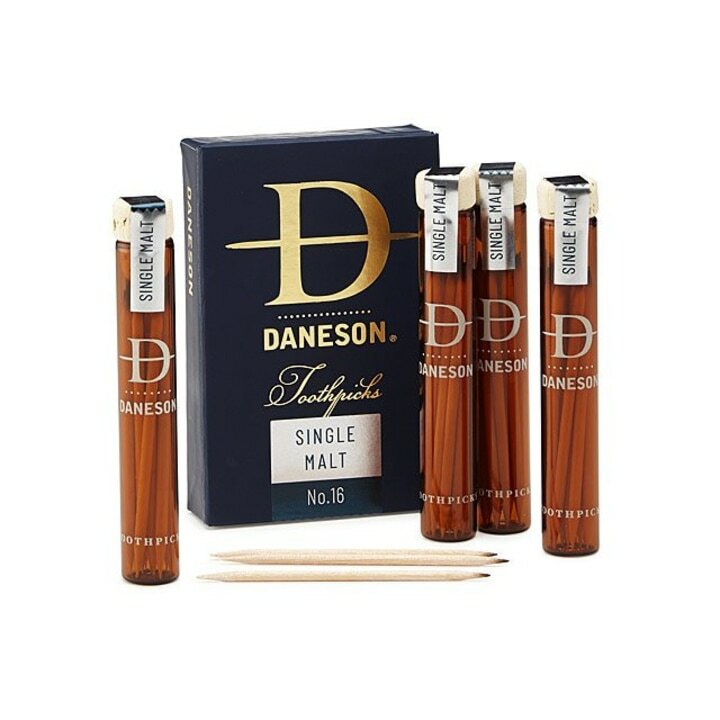 These bourbon-flavored toothpicks are a great gift for the booze expert who seems to have it all. 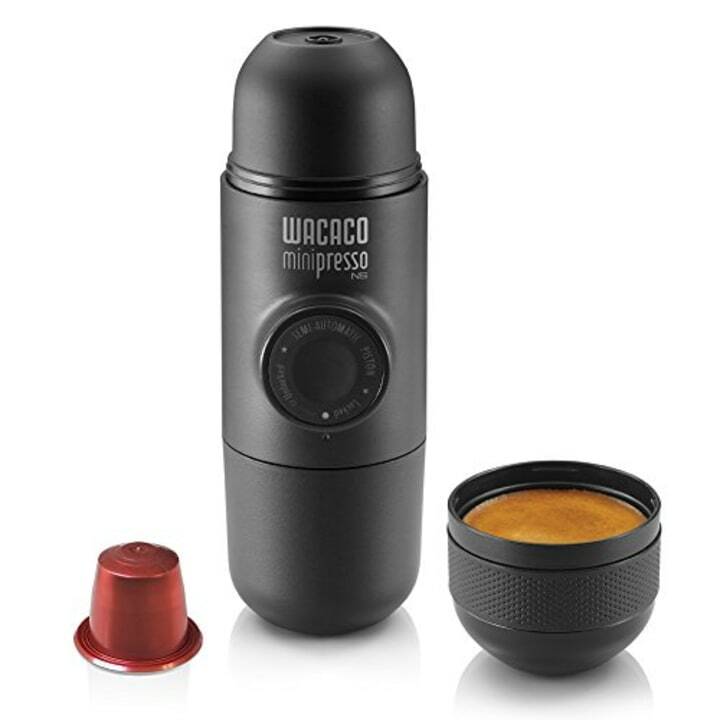 This miniature espresso maker is perfect when you need a caffeine jolt and are out and about. It works with Nespresso capsules and is extremely fast. We are mad for these plaid and oh-so-cushy shearling slippers. Any man in your life will be, too. Whether it's for Dad, Grandpa, your brother, a significant other or a friend you’ve got them all covered with this stocking stuffer. This makes a great gift for a co-worker or white elephant gift as well. It's perfect for sitting on your desk at home or at work. 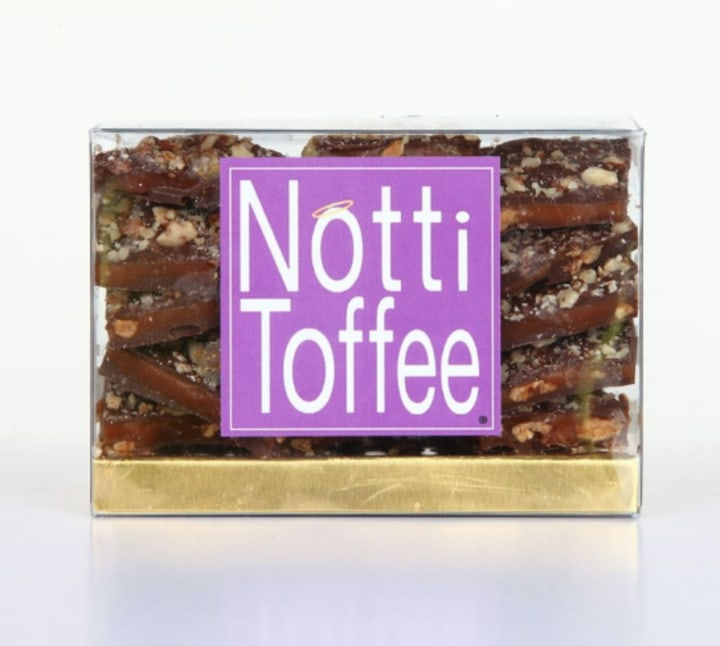 Additional Notti Toffee treats available at Saks Fifth Avenue. Who wouldn't want half a pound of tasty treats this holiday season? You can choose from various kinds of toffee, cookies and even cheese wafers to fill this box. 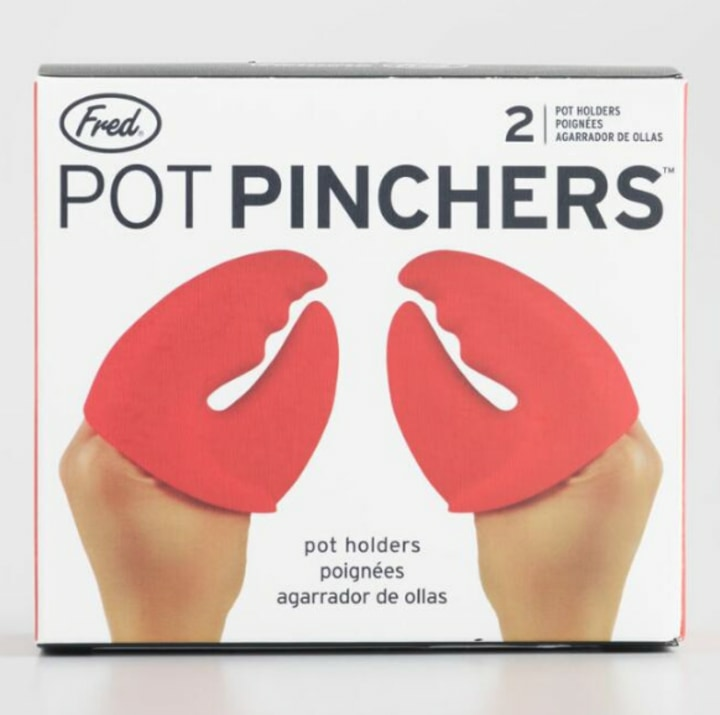 Protect your hands and add a pinch of fun in the kitchen with these cute pot holders shaped like lobster claws. 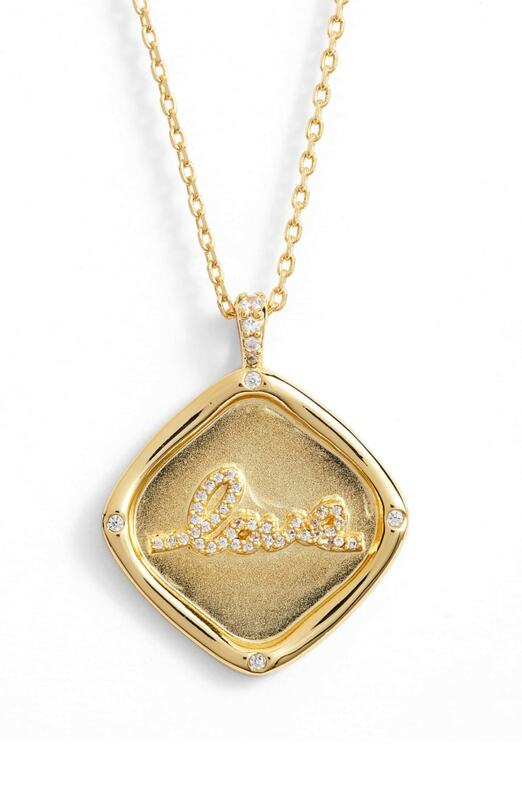 Let your love flow with this dainty crystal pendant necklace from fabulous designer Lulu DK. It comes ready to bestow in a beautiful gift box. Who doesn’t like to be reminded of how gorgeous they are? 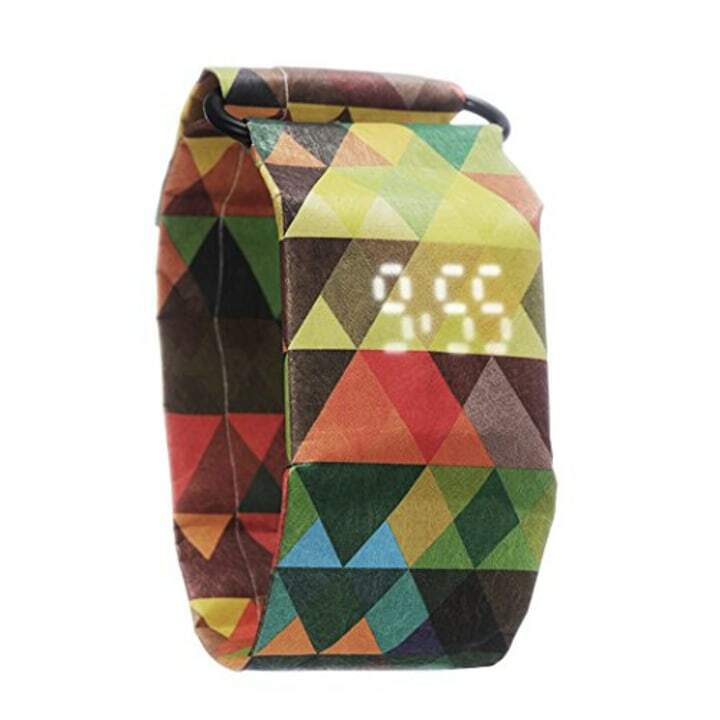 The fashionable gal in your life will surely appreciate this portable reminder. Some of our favorite gifts are the ones that make mundane tasks feel luxurious. 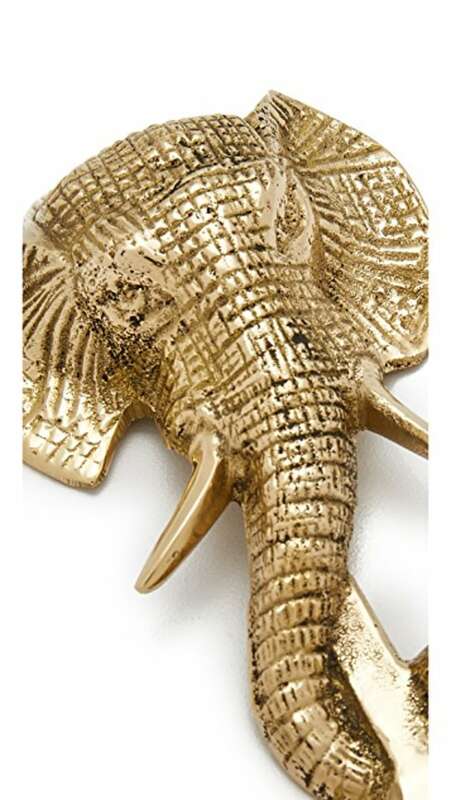 This gold Lucky Elephant bottle opener does just that! 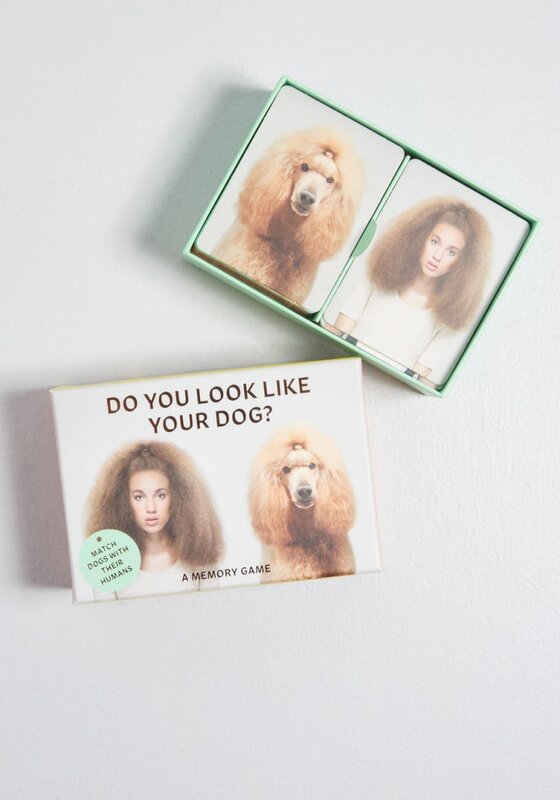 This hysterical memory game will leave your giftee howling with delight! Simply match the dog to an eerily similar looking human. 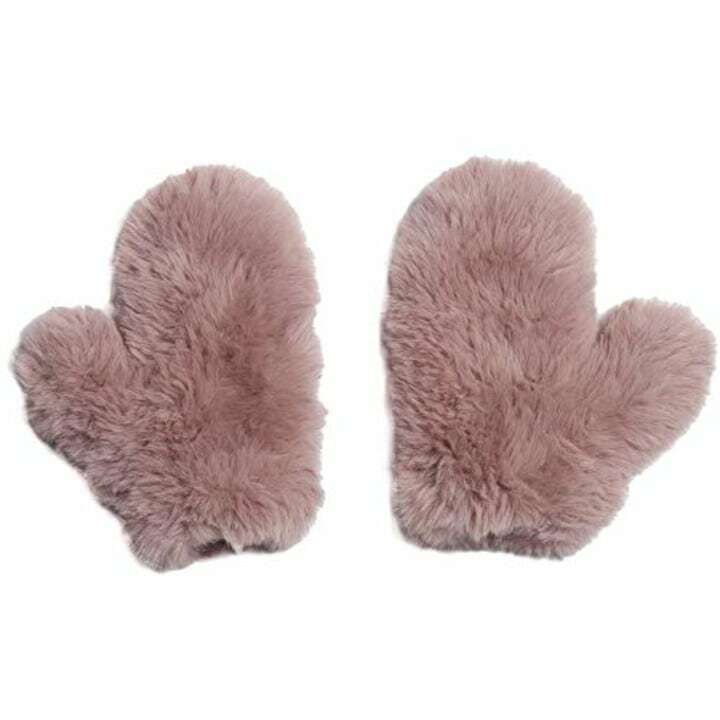 These fuzzy faux fur mittens may take up most of the room in your stocking, but they’re worth it! One of Oprah's Favorite Things, these fab mittens will keep your hands warm in a truly glamorous way! 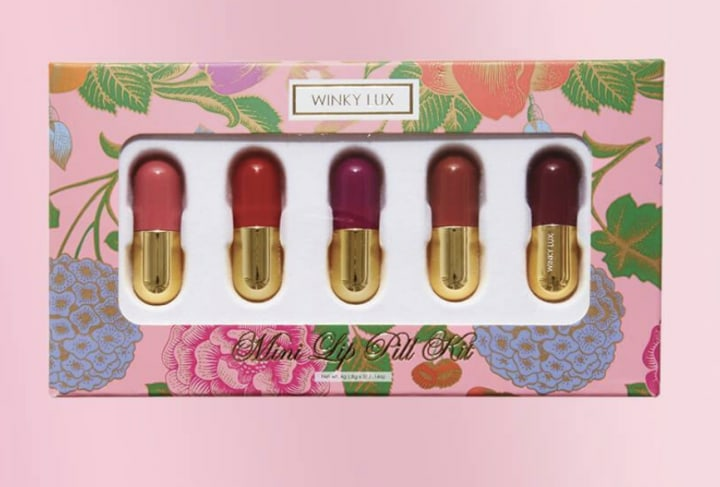 This adorable lipstick kit is perfect for that special someone who loves a perfect pout. Working on your six pack from the comfort of your bed? Stretching your legs in the shower? Tightening your tush on your morning commute? Sign me up! 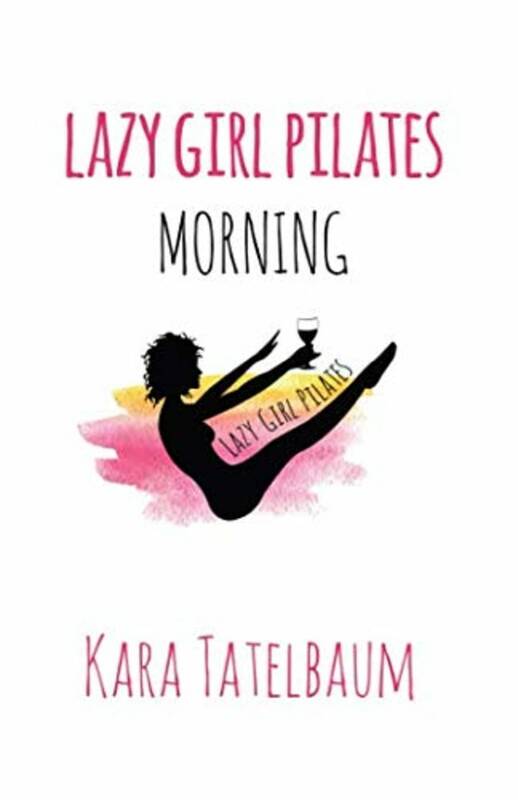 To the delight of busy women everywhere, Lazy Girl Pilates: Morning gets you out the door fast while serving up some pretty inventive (and effective) fitness hacks. And the best part? You can work on achieving the body of your dreams without leaving the house or breaking the bank! Sure, you can deck the halls. But, why not also deck out your ears? 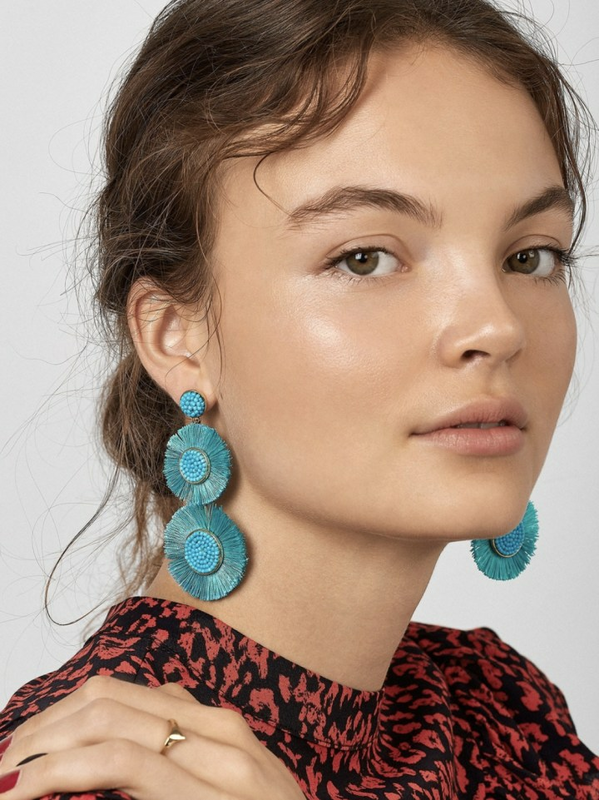 These fringed earrings are perfect for the festive fashionista! Face masks are a great gift for just about anyone on your list. 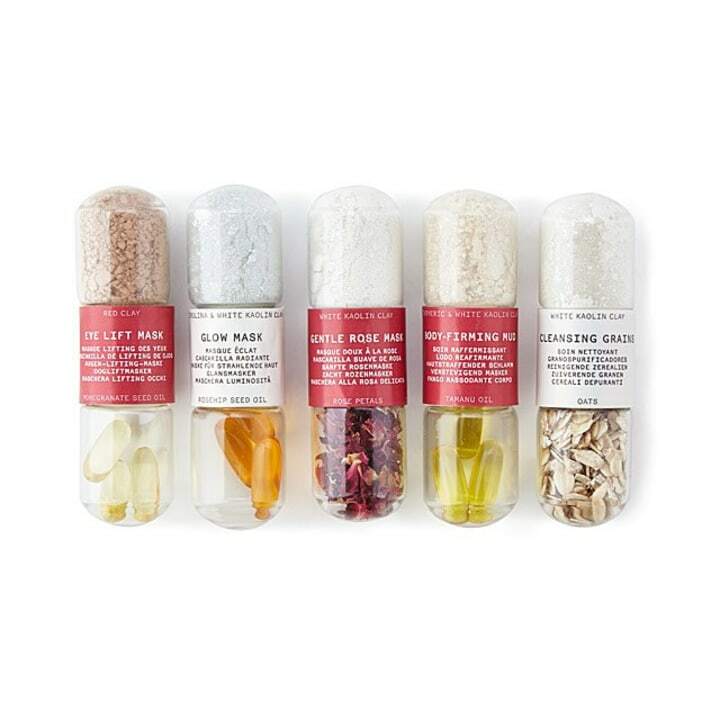 This set offers five different renewing varieties with ingredients to make fifteen masks each. It's an especially great gift for the beauty lover on your list! 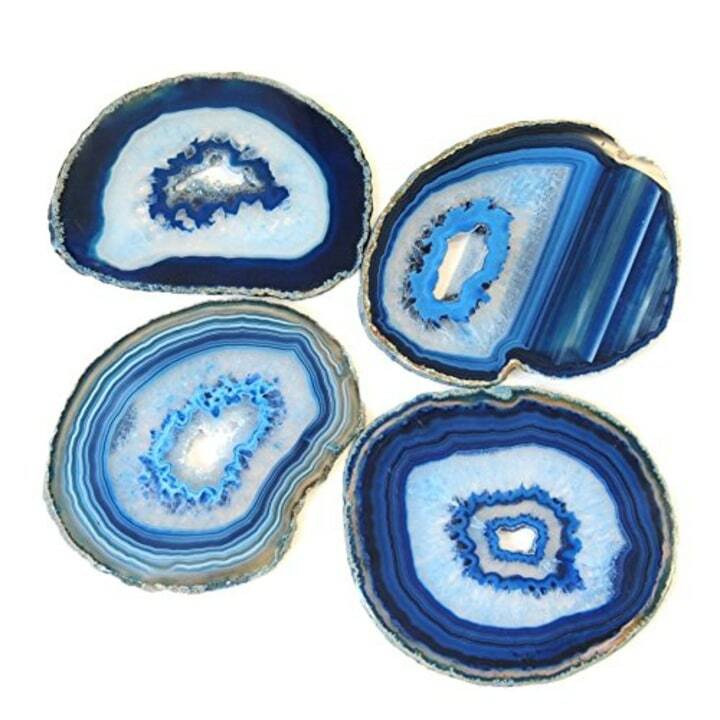 These stunning and colorful agate coasters will delight the entertainer in the family. We can’t get enough of their organic-looking beauty. We also wrote about these in our gift guide for the special women in your life! 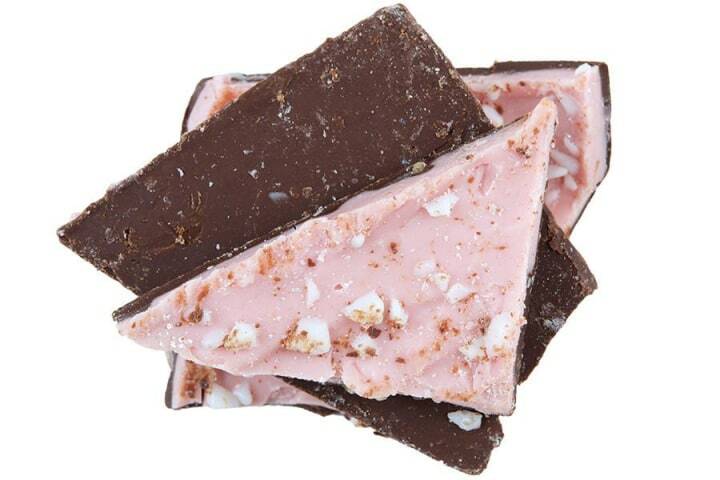 Peppermint bark plus Pop Rocks equals sparkle bark! This mouthwatering confection comes from Bang Candy in Nashville and is sure to surprise and delight any foodie or home chef. With these custom photo magnets, every time Mom or Dad goes to the refrigerator, they won’t just be thinking about food! They will now be reminded of their wonderful kids and the special times spent together. 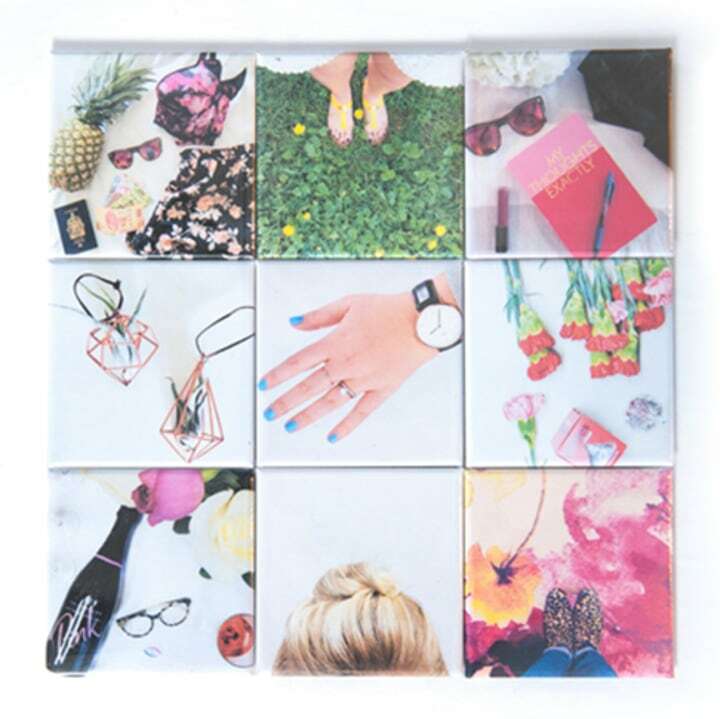 This set comes with nine different fridge magnets, so you can choose nine different pictures. 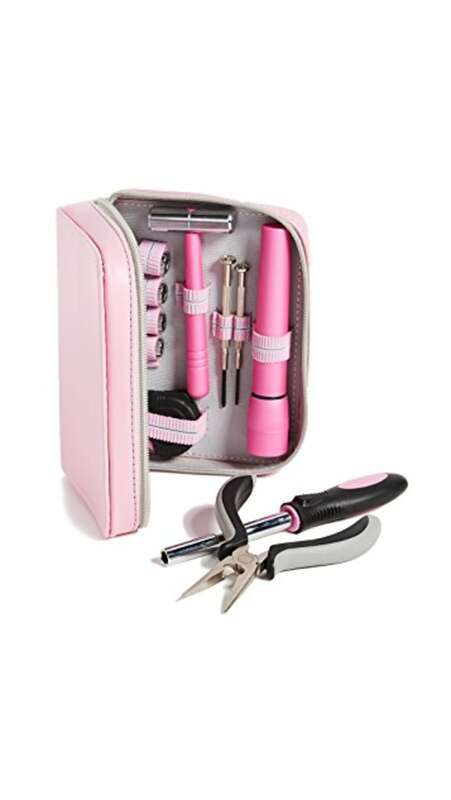 This compact tool kit has all the essentials to get the job done — and in a fierce and feminine pink to boot! Give the gift of great hair. 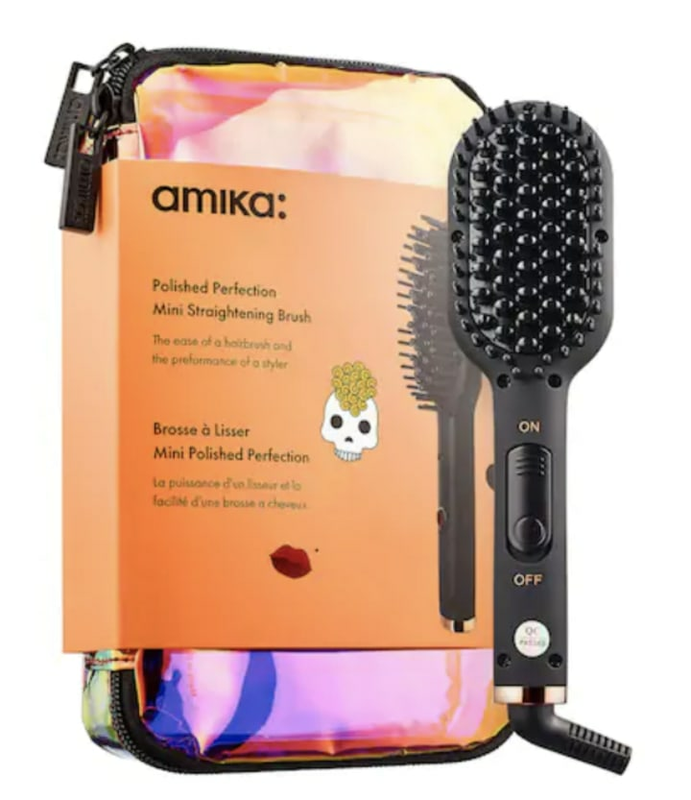 The styling power of a full-sized straightening brush is now available in a travel size. It will fit in your giftee’s suitcase and stocking. 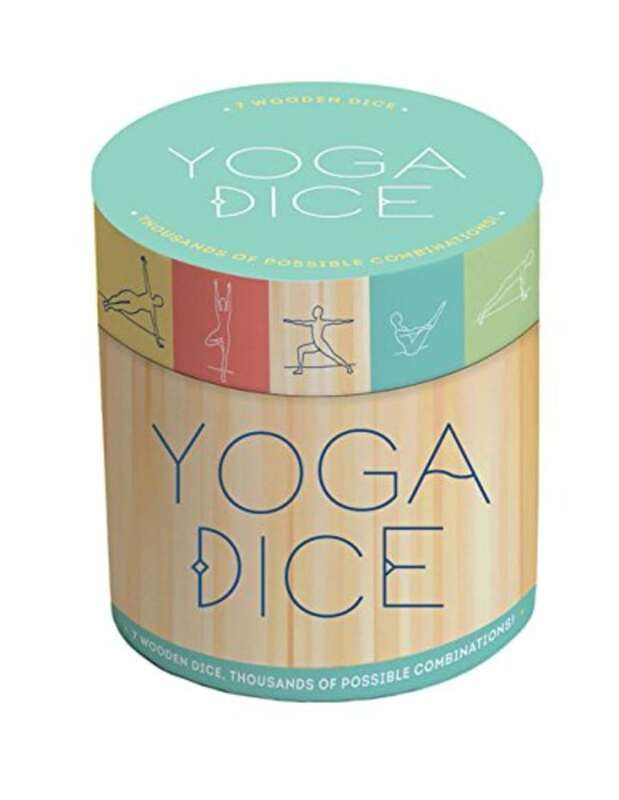 This dice includes a variety of different yoga poses for endless fun and relaxation. It's perfect for all yoga lovers or even beginners. These tights are star-studded, literally! We know what your favorite fashionista will be wearing on New Year’s Eve. We are big fans of Ryan Porter’s cheeky yet sweet personalized jewelry. 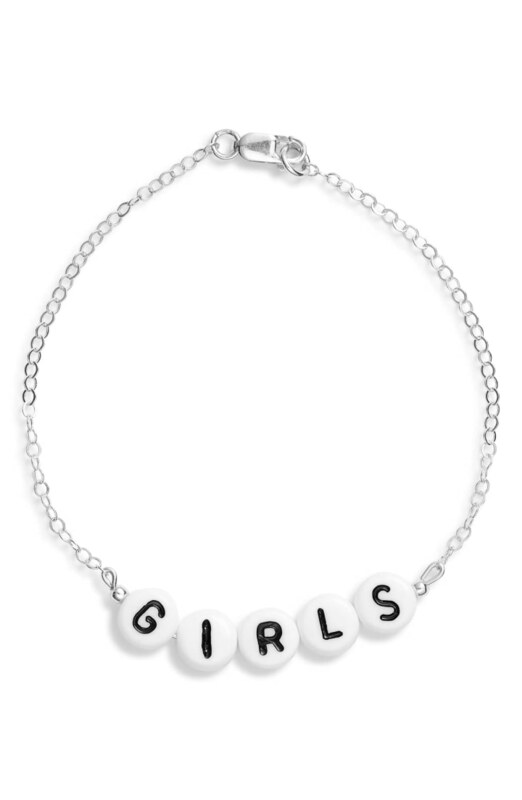 “Handmade with love," this alphabet message bracelet gets your point across perfectly. Gals aren’t the only ones who love luxurious bath products. 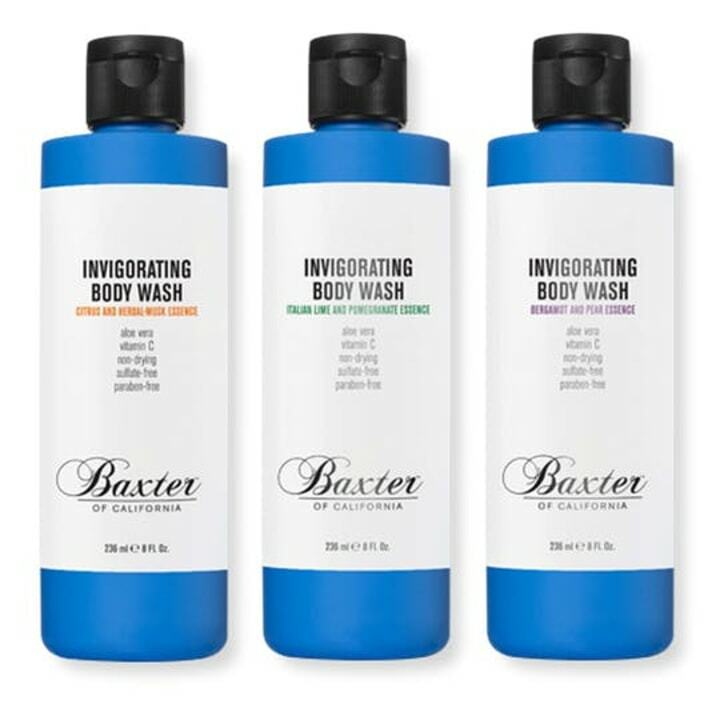 Baxter of California’s invigorating body washes will take your man’s shower to the next level with fragrances like citrus and herbal musk, Italian lime and pomegranate, and bergamot and pear. You may just find yourself absconding with a bottle or two for yourself. 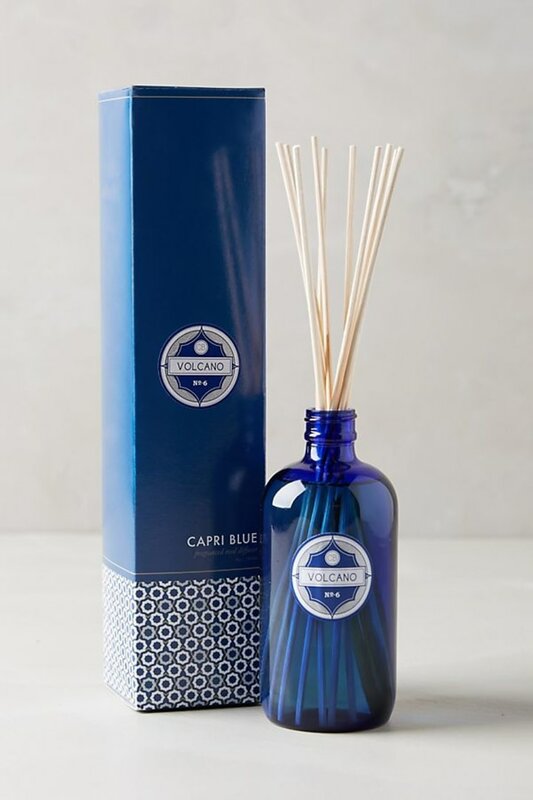 The Capri Blue reed diffuser is a top-rated gift at Anthropologie, and for good reason. This Mississippi-based company delivers “intoxicating scents” in a gorgeous blue vessel that begs to be prominently displayed. 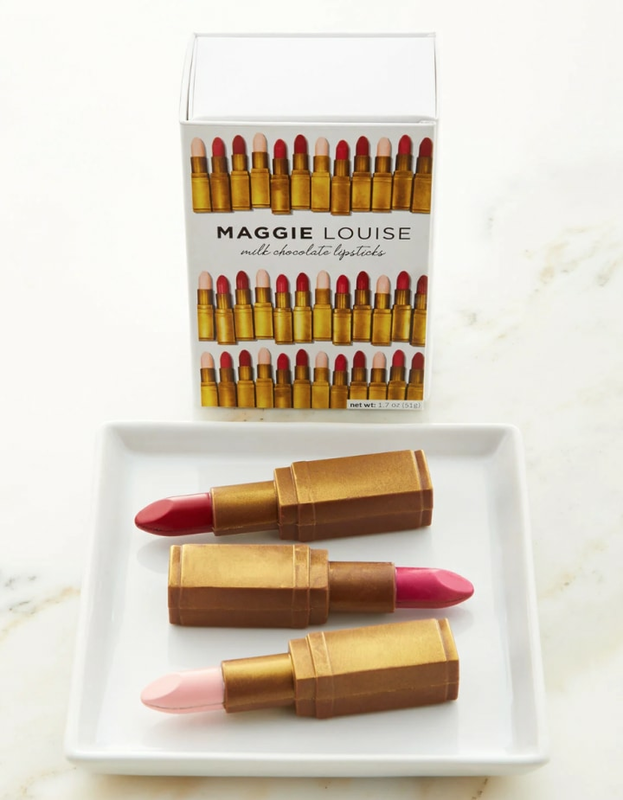 Get this 3-pack of lipstick-shaped chocolates for the makeup guru in your life.